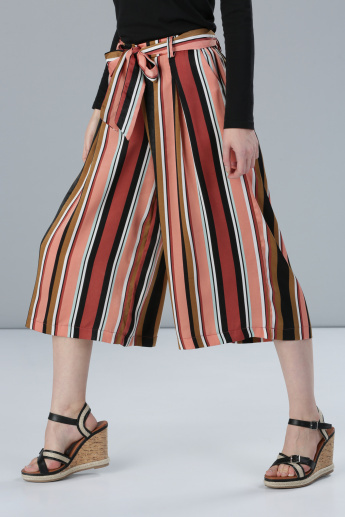 Striped all over, this pair of culottes is eye-catchy and compliment-worthy. 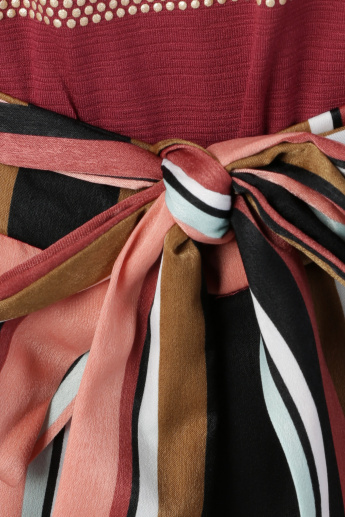 The pair sways with each step you take, owing to the soft fabric it is made of. 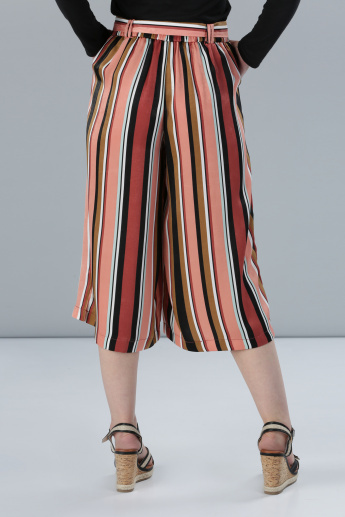 With an elasticised waistband and belt detail on the waist, you can fit these culottes as you desire.